Dave comes to us from Augusta GA where he has taught tennis for 25 years as a certified USPTR Professional. He has taught all levels of junior players from ages 4 –18 and is passionate about growing the sport of tennis. 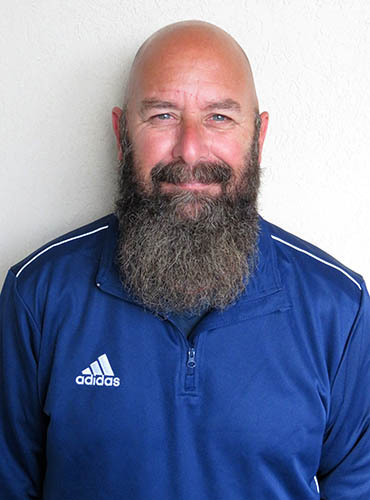 Dave works with adult USTA teams, adult programs and teaches private lessons. We are most fortunate to have a person of Dave’s caliber heading up the programming at Hilton Head Beach and Tennis. He will instruct daily tennis programs for all levels and will be available for daily programs. See the program schedule for your stay at Hilton Head Beach and Tennis. Pickleball is here and Dave is available for instruction and to run social play events. There are daily programs for pickleball and all you need to do is call the fitness center for further information. We look forward to seeing you on the courts and don’t hesitate to contact Dave personally at 706-840-4622 if you need any assistance. We have demo rackets and pickleball rackets available should you forget to bring yours! We are here to make your stay great!